Santa Ana, Culver City, and Manhattan Beach drivers will recognize a whole new evolution of the hybrid when they take a test drive in the upcoming 2017 Toyota Prius Prime. Utilizing an innovative parallel hybrid system and underpinned by all-new architecture, the Prime reaches further forwards than almost any other model in the segment. With market-topping range and phenomenal efficiency scores, it’s already stirring up plenty of interest. If the normal Prius sets the bar for hybrid vehicles, the Prius Prime will permanently revolutionize the segment’s expectations and ambitions. Toyota have broken new ground by offering their first parallel hybrid system, meaning that drivers can ride using either the electric motors alone or with the gas engine. EV Mode: When the Prime’s battery is fully charged, you’ll be using electrical power only, perfect for morning commutes and afternoon school runs. Hybrid Mode: When the electric charge is depleted, you’ll seamlessly shift into Hybrid Mode, with the 1.8L Atkinson cycle engine netting up to an expected 52 mpg****. The 2017 Toyota Prius Prime will arrive across Santa Ana, Culver City, and Manhattan Beach fully-loaded with a fine supply of first-rate comfort and convenience features, including heated front seats and a clever climate control system that can be operated without firing up the gas engine. 11.6-In. 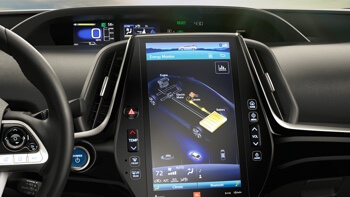 Multimedia Display: This sprawling high-resolution touchscreen lets you control your driving environment in style, and is vertically rather than horizontally oriented in order to mimic the experience of using a smartphone. Qi Wireless Charging: Speaking of smartphones, you’ll never have to worry about yours losing its charge again. When you notice that you’re down to a thin red line of power, just pop your Qi-compatible smartphone on the wireless charging platform. Prius Prime Apps: Check the status of your battery from afar, manage the charging schedule, remotely run your climate control systems, location charging stations, or even compare your eco scores with other Prius Prime pilots. The new Prius line up will be debuting Toyota’s all-new Global Architecture. Its distinctive low-slung appearance is matched by torsional rigidity improvements of up to 60% and a revised suspension system. The result of these changes is a firmer, more controlled ride that handles better through life’s corners. You can expect to go from zero to 60 mph in around 10 seconds, which the Prime can handle with aplomb. The design of the Prime is almost as forward-thinking as what you’ll find beneath the hood. Defined along the exterior by expressive quad LED lights and LED rear combination lamps, as well as by a surprising amount of cabin space, the Prime is expected to become a popular upscale option for hybrid shoppers. 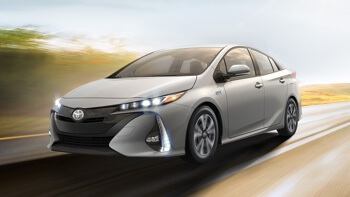 The 2016 Toyota Prius earned some impressive crash test ratings, and the 2017 Prius Prime is expected to replicate its success across all crash tests thanks to Toyota’s improved architecture. 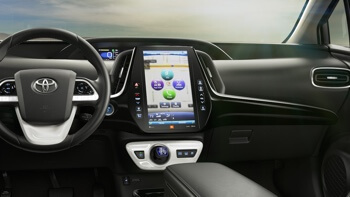 Drivers will also be able to take advantage of the bold new Intelligent Parking Assist feature. Once activated, it will automatically take care of parallel parking, perpendicular parking, and steering out of spaces into traffic, while warning the driver if there is insufficient clearance on either side of the car. 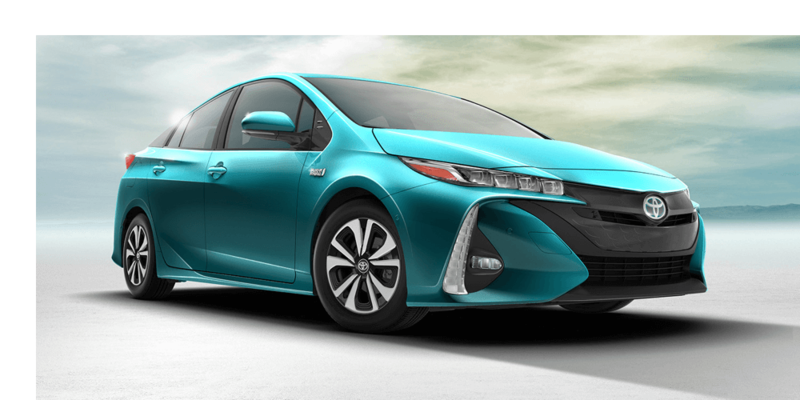 The Prius Prime will certainly make waves when it finally hits showrooms across the country. To find out the latest information, or arrange a test drive in the current Prius, just contact one of the team here at Marina Del Rey Toyota. Give us a call at (310) 439-9894, and we’ll get you started. *2017 Prius Prime manufacturer’s projected EPA-estimated range rating when fully charged and with a full tank of gas. Excludes driving conditions. Actual mileage will vary. ***Calculations based on 2017 Prius Prime manufacturer’s projected EPA-estimated E Mode range of up to 22 miles when vehicle is fully charged. Excludes driving conditions. Actual mileage traveled in electric mode will vary on many factors such as traffic, road and weather conditions, vehicle maintenance, driving speed and cargo load. 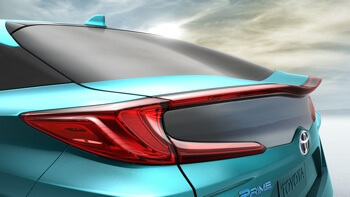 ****Calculations are based on 2017 Prius Prime manufacturer’s projected EPA-estimated EV range of up to 22 miles when vehicle is fully charged and a manufacturer’s projected EPA-estimated 52 combined mpg. Calculations are based on driving in EV Mode until your battery is drained, upon which time your vehicle will automatically switch to hybrid mode. Actual fuel economy will vary and is dependent upon many factors, including driving style, road conditions, outside temperature, air conditioning control levels, payload/cargo weight, proper tire pressure, vehicle maintenance, and changes in energy costs.